Class participants who have attained required skill levels will be invited to join the YMCA Aerial Gymnastics Team. The competitive team is by invitation only. 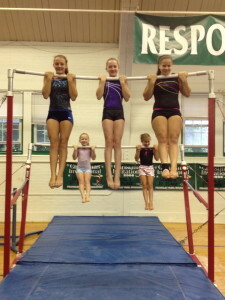 Practices for levels 2-9 are held during the week and Saturdays, year around, with meets held on weekends. See practice schedule above. Participants must have a Greensburg YMCA membership to be on the competitive team. Youth or family memberships are available. 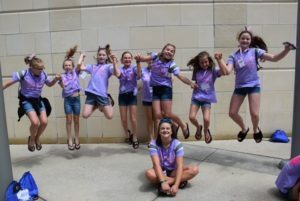 The team competes every year at the state and national level. Contact Coach Kari Harkins or Lori Mertz at 724-834-1367 for more information about joining the team. All team members must be a YMCA member in good standing. 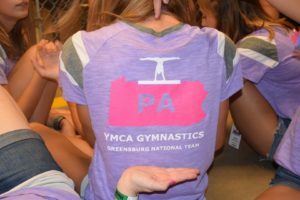 The Greensburg YMCA has competitive opportunities for gymnasts that have reached the required skill level have been invited to participate on our Aerial Team. 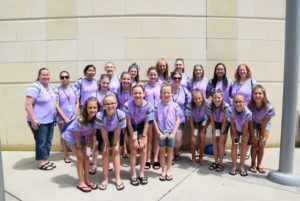 Every 8 years USA Gymnastics modifies the Women’s Junior Olympic program; 2013 is the start of new routines. Each compulsory level will have new and different routines and music.